I had a total of 4 teams. All 4 teams made the playoffs. 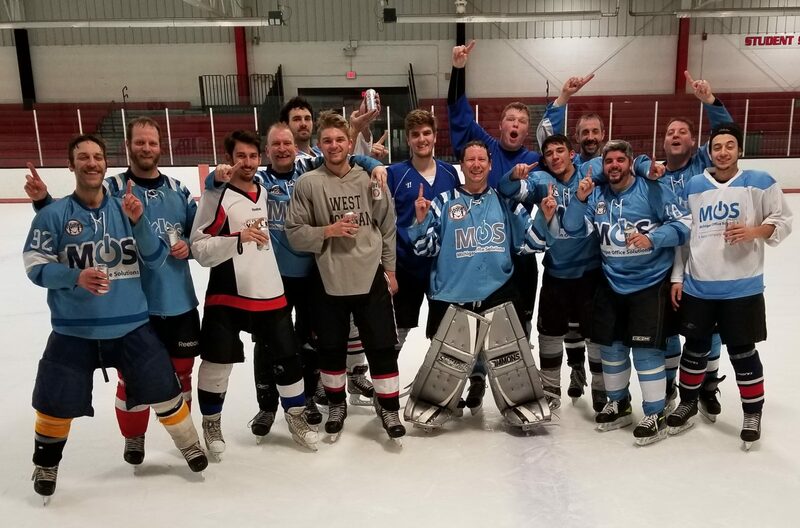 1 team went all the way through the playoffs and was crowned champion! The Grand Rapids Blades finished with a 155-34-11 record. Simply incredible. The other 3 teams were ousted in the first round of playoffs. 2 of the 3 went on to win the second round of the consolation. I misplayed 2 of those 3 teams that got booted from the playoffs in the first round. I played goaltenders that had really horrible games and they costed me valuable points. I took a lesson from that and didn’t play both goalies on the last game of the season on my championship team. That was a good move because Lundquivst got lit up for 5 goals last night. Esche would have been good, but I didn’t need him to dominate.